Take a look at the first wave of Pop! 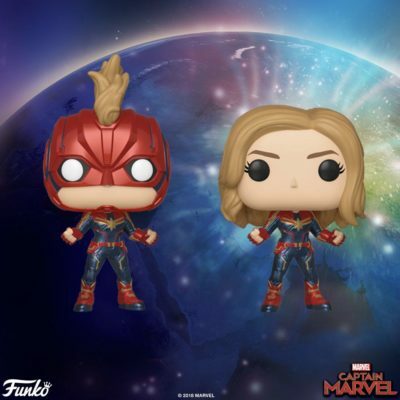 Captain Marvel vinyl bobble-head figures from Funko! Use the “Pages” buttons below to navigate this Post and jump to whichever Pop! Marvel Captain Marvel figure you’re looking for. We have provided as many helpful ordering links as possible to help you add these to your collection!